London looks lovely in Christmas doesn't it? All twinkly lights and shiny baubles. 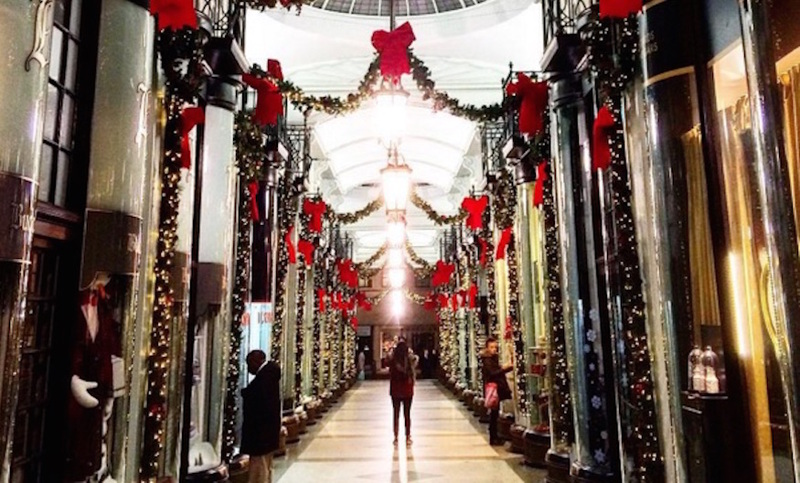 We've trawled Instagram to find some of the best photos of London at this time of year. Click on the photos to be taken to the photographer's Instagram page. Christmas wreaths on sale at Columbia Road Flower Market. Winter Wonderland in Hyde Park seen from the air. The Somerset House ice rink. A peep into Christmas at Buckingham Palace. Christmas lights in Sloane Square. Mince pies in Covent Garden. Lola's Cupcakes at Blackfriars Station goes festive. The Carnaby Street Christmas decorations have been very shiny and pink this year. Snow globes at Tate Modern Christmas Market. Fortnum & Mason Christmas tree at Somerset House. Part of the gingerbread scene in the lobby at Ham Yard Hotel. South Molton Street Christmas lights.